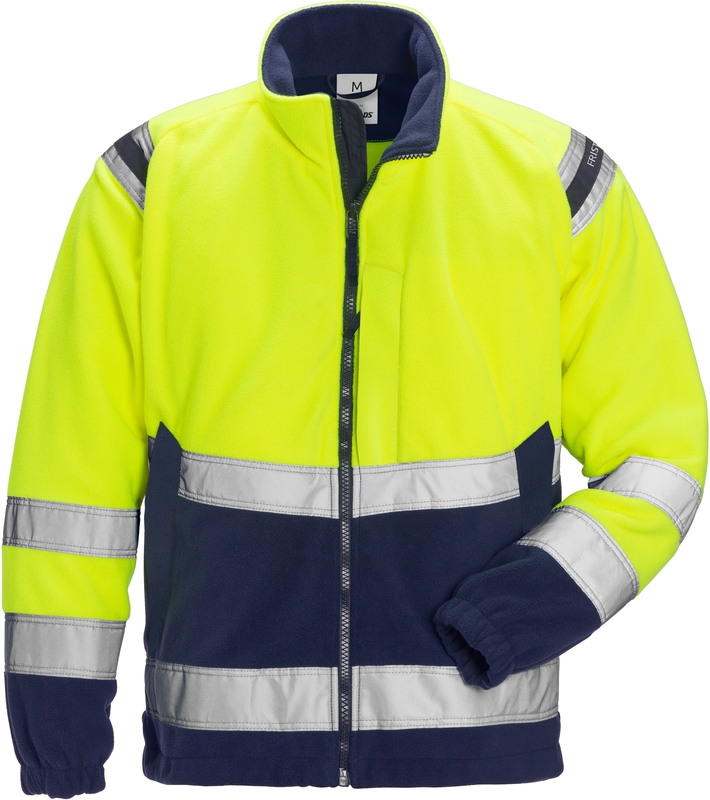 Windproof and water repellent high visibility fleece jacket with dark marterial at exposed areas. Material: 100% Polyester, Polar fleece. Fluorescent. 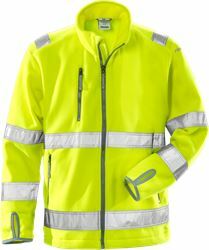 Airtech® lining of windproof and water repellent, breathable 80% Polyamide, 20% Polyurethane. Weight: 290 g/m². Lining 160 g/m². 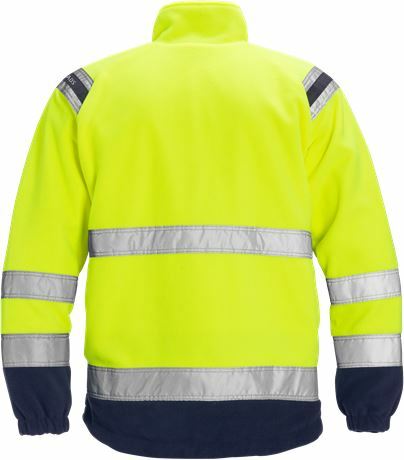 Breathable, wind and waterproof lining / Reflective detail on shoulders / Zip to top of collar / Chest pocket with zip, D-ring inside / 2 front pockets with zip / Inside pocket with zip / Zip in lining for easy embroidery and transfer / Adjustable hem with drawstring / Elastic cuffs / Approved according to EN ISO 20471 class 2 – sizes XS -S and class 3 – M - 3XL.